Ships today if you order in the next 3 hours 34 minutes. *Pure Encapsulations MSM (methylsulfonylmethane or dimethylsulfone) is a source of organic sulfur found naturally in the human body. MSM, the major metabolite of DMSO (dimethyl sulfoxide), is 34% elemental sulfur, a compound which is crucial in maintaining healthy tissues. While sulfur supports many functions, it is well known for maintaining connective tissue health. Sulfur also supports tissue containing significant amounts of collagen and keratin, including hair, skin, and nails. Sulfur is essential in methionine, cysteine and serum protein metabolism. Recent, preliminary evidence suggests that MSM provides potential support for healthy immune and respiratory function. 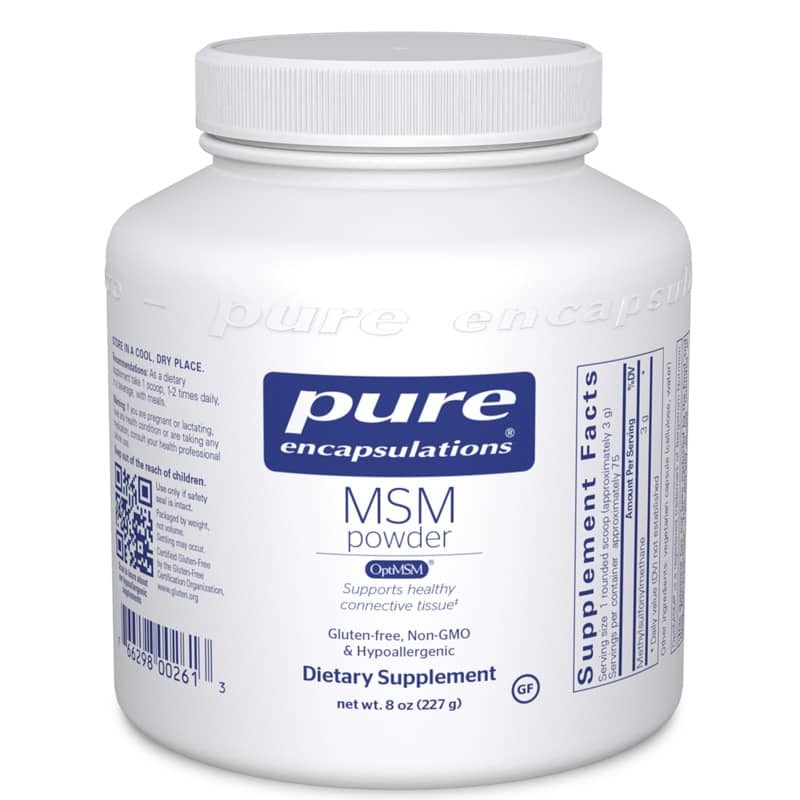 Pure Encapsulations MSM powder is an unsweetened, unflavored powder. Adults: As a dietary supplement, take 1 to 2 scoops per day, with meals. Prompt delivery of quality products.